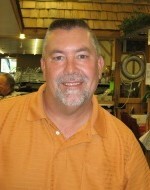 Greg is a recent addition to our sales force here at Hallberg Marine. Greg has been involved in the marine industry since 2001 and brings a wide variety of boating and outdoor experience to our team. is usually found out fishing, hunting, and hiking in Minnesota’s great outdoors during his time off. Greg also loves to bring this passion for the outdoor lifestyle to the table when helping people to find a new boat package that will perfectly fit their own wants and needs. Copyright © 2019 Hallberg Marine.